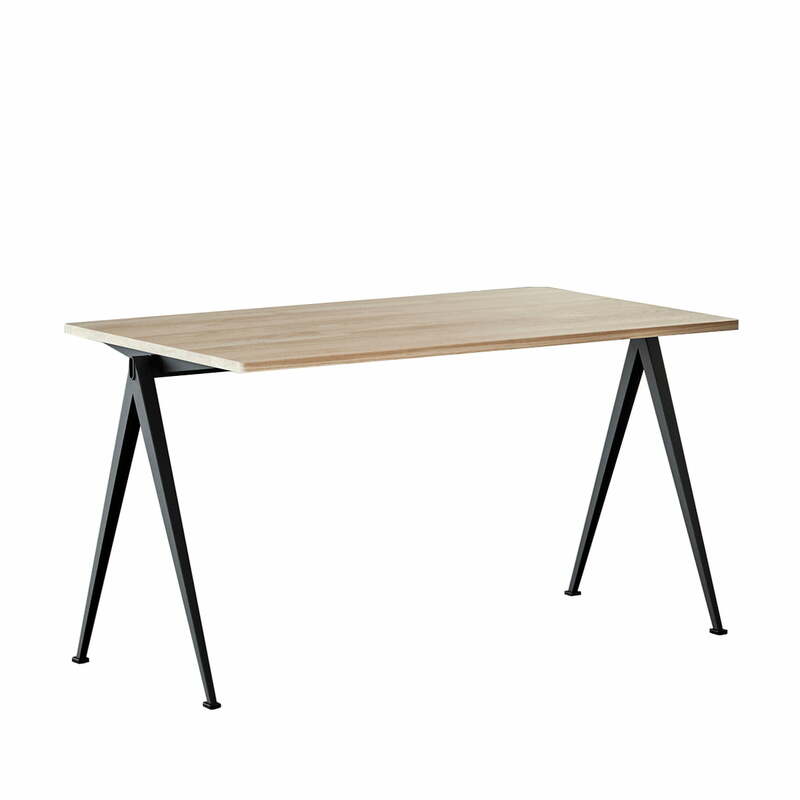 Designed in the 1960s by Wim Rietveld, Hay celebrates the Pyramid desk with a comeback. 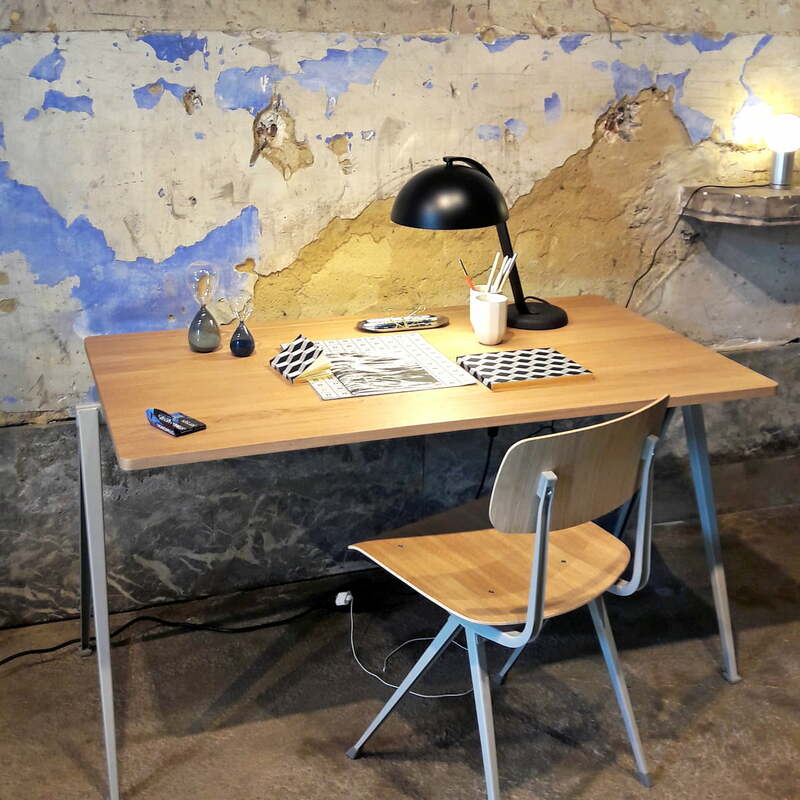 The industrial Pyramid desk made of wood and steel combined with the Result chair appear timeless and rustic. The Pyramid collection was created in 1969 - a year after the great success of the Result chair - known for its simple, straightforward design. Thanks to an elegant base frame made of a bent steel plate, all parts of the series are harmoniously combined together. The tabletop is made from solid oak. The re-edition of this series with an original mid-century style proves that good design never goes out of style. For many Dutch people, the Pyramid collection has a very special meaning. Because of its functional design, schools were equipped with this furniture in the 60s and 70s. 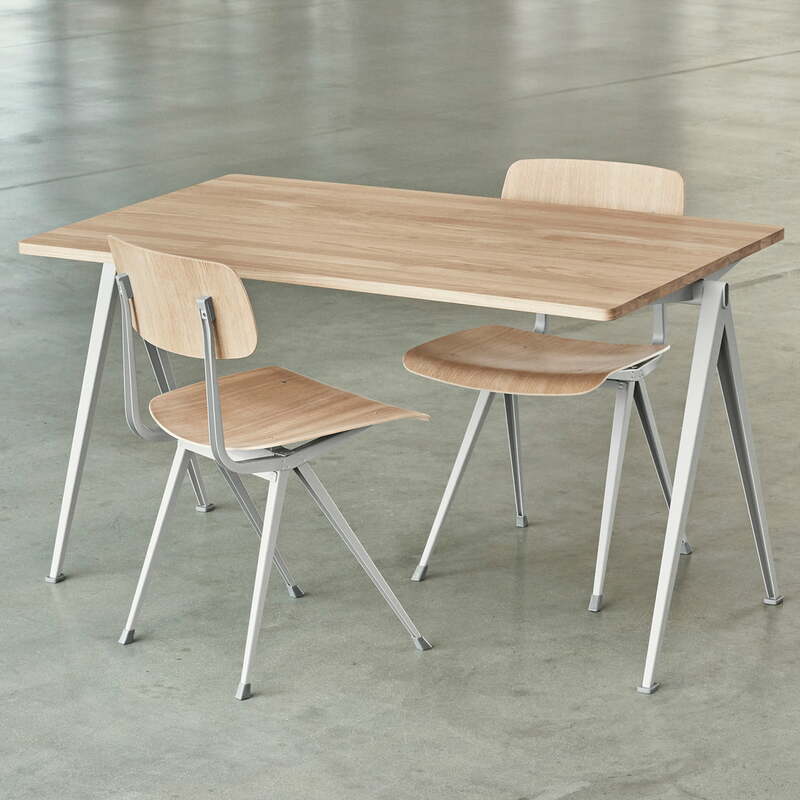 Formerly used in Dutch schools, the collection has earned a cult status and has found its way into modern restaurants and dining rooms. The Pyramid desk comes in different variations. In addition to the Pyramid collection consisting of benches and tables, the matching Result chair was also reissued. 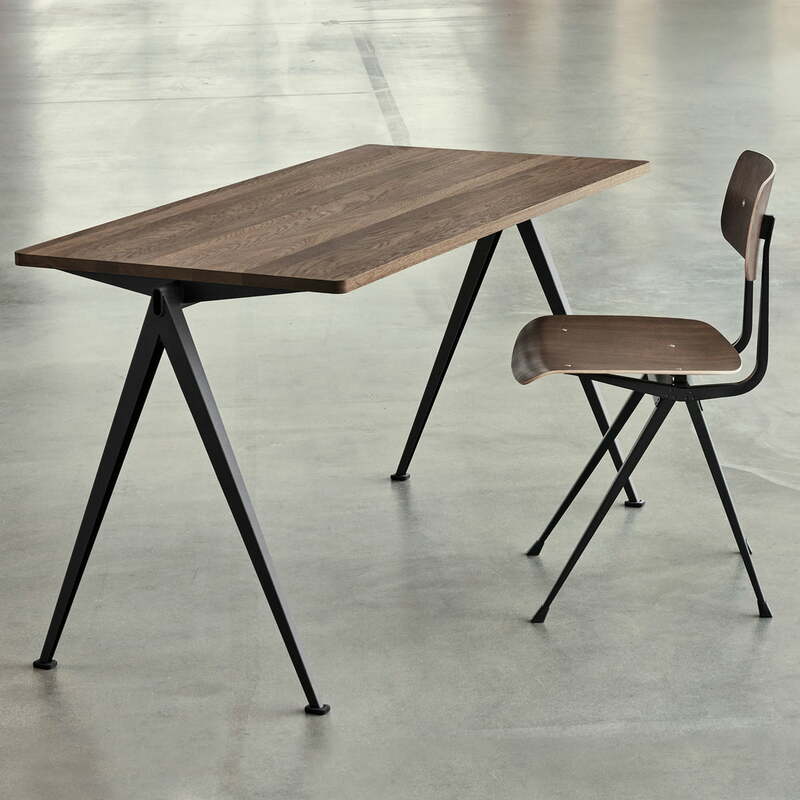 Isolated product image of the Pyramid Bench: Because of the functional design, Dutch schools were equipped with the pyramid desk 140 x 75 cm by Hay in black / matt oak in the 60s and 70s. Pyramid table by Hay with the Result chairs In addition to the Result chairs, the matching Pyramid collection, consisting of benches and tables, has also been reissued. 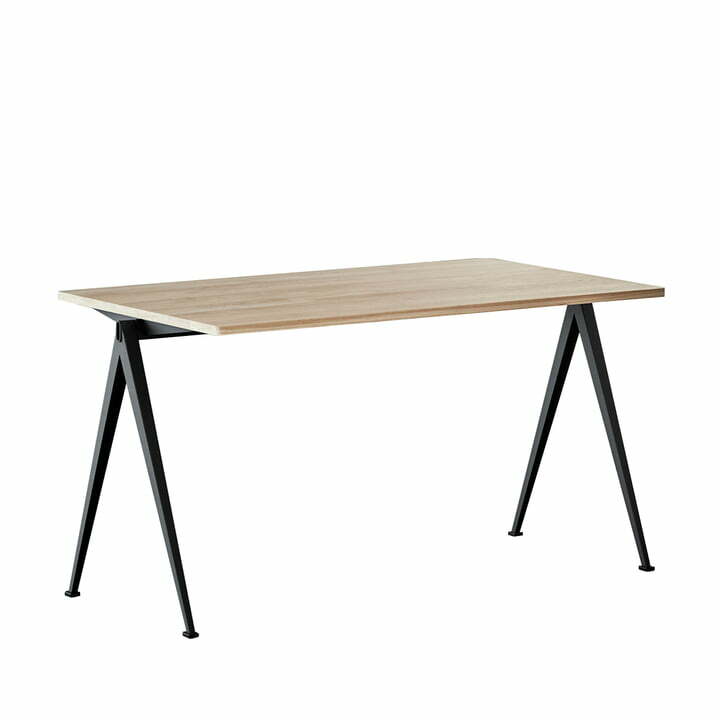 Lifestyle product image of the Pyramid desk with Result chair by Hay: The industrial Pyramid desk made of wood and steel combined with the Result chair appear timeless and rustic. 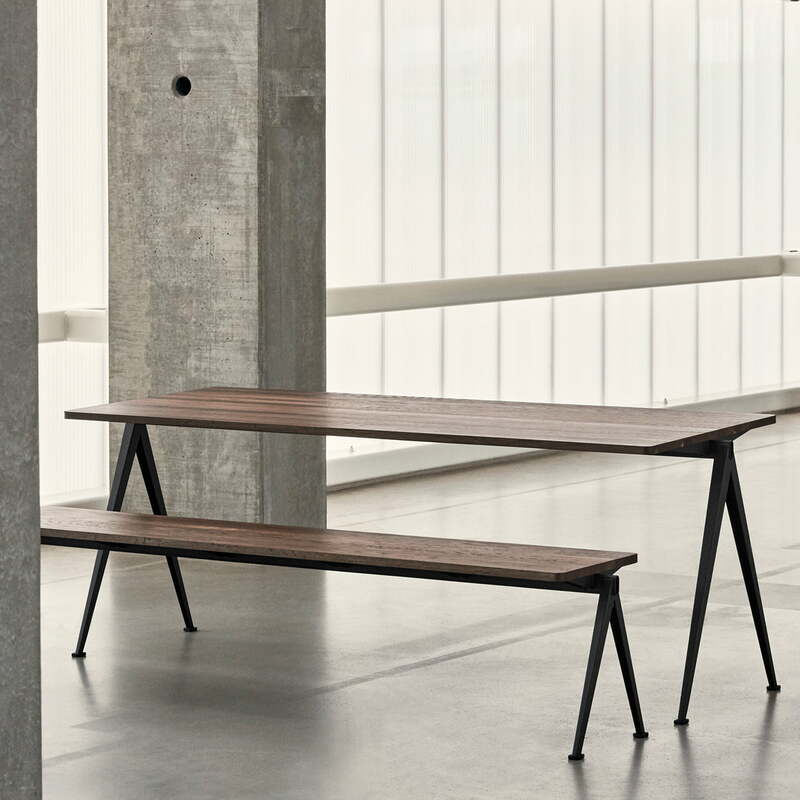 Lifestyle product image of the Pyramid desk and bench by Hay: Designed in the 1960s by Wim Rietveld, Hay celebrates the Pyramid desk and Pyramid bench with their comeback. The Pyramid table comes in different variations. 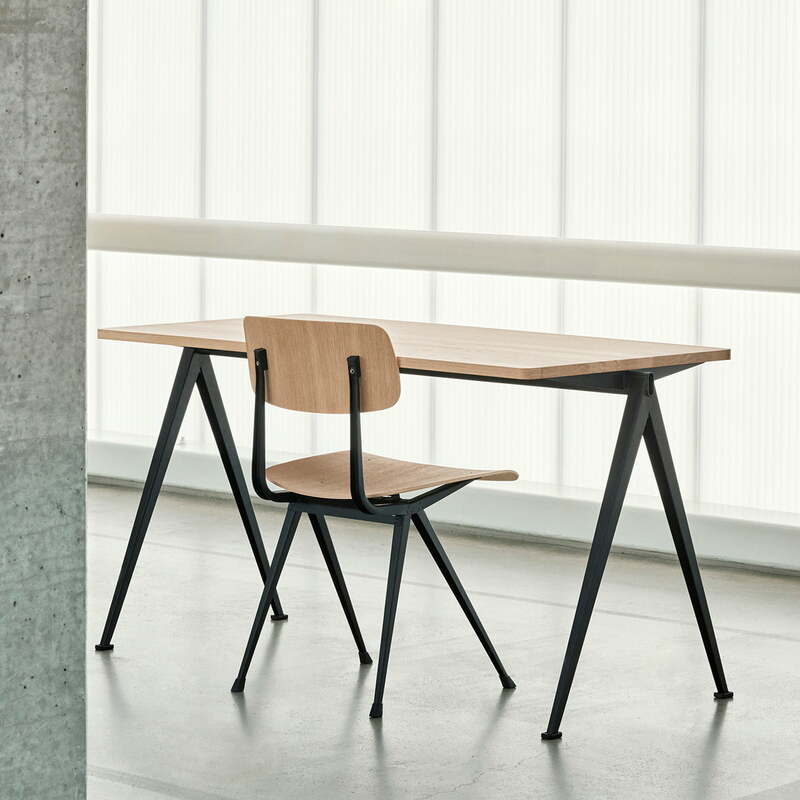 In addition to the Pyramid collection consisting of benches and tables, the matching Result chair was also reissued. 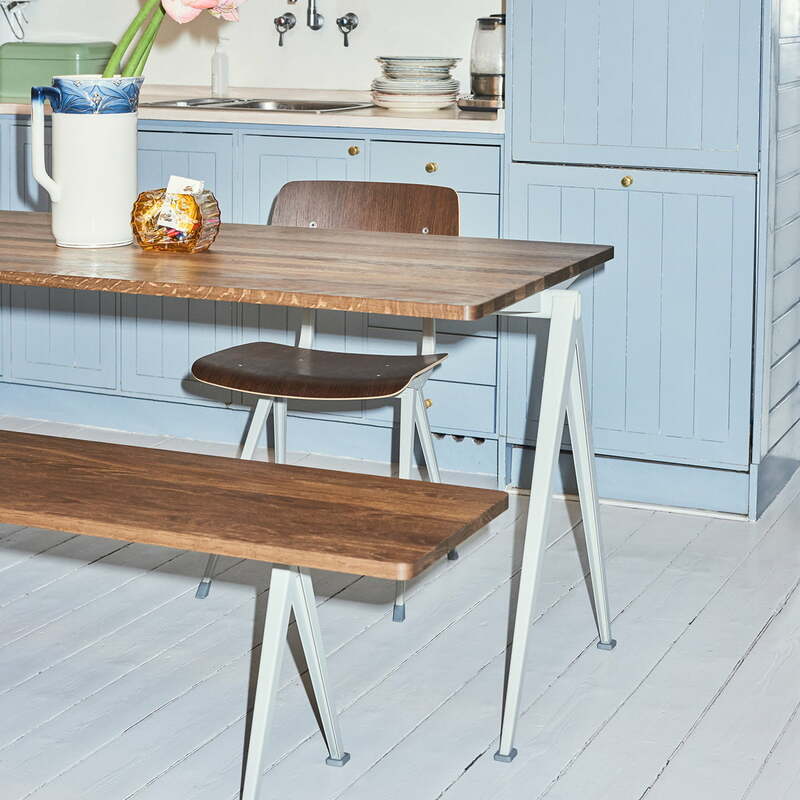 The Result chair was designed in the Netherlands in 1958 by Friso Kramer and Wim Rietveld. A year later, the matching Pyramid collection was released. The Pyramid collection was created in 1969 - a year after the great success of the Result chair - known for its simple, straightforward design. Thanks to an elegant base frame made of a bent steel plate, all parts of the series are harmoniously combined together. 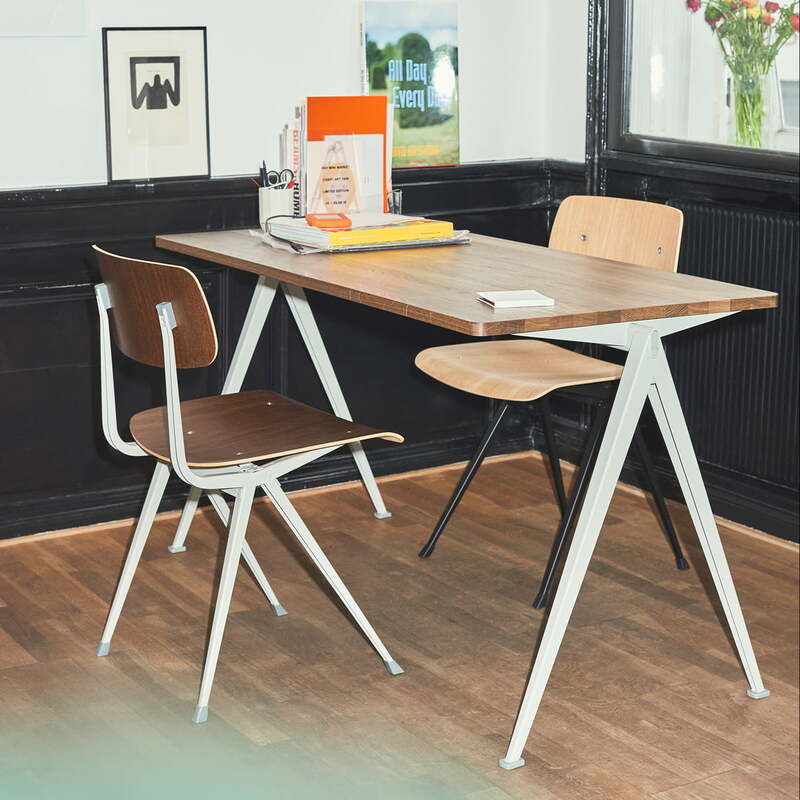 Found in schools nationwide in the 60s and 70s, the Result Chair together with the Pyramid table by Hay now brings retro flair to your personal study. Light is provided by the Cloche light - also by Hay.